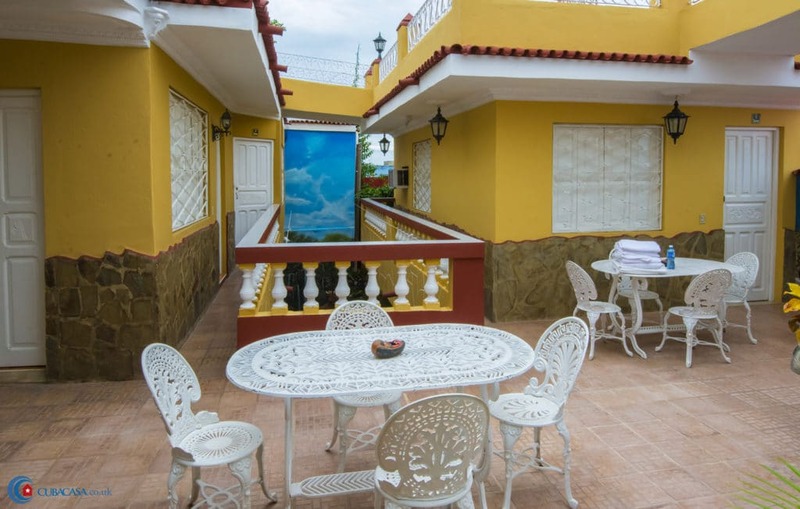 Nelson and his friendly, helpful family rent clean and comfortable rooms in this lovely casa particular in the centre of Trinidad. 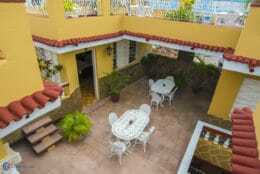 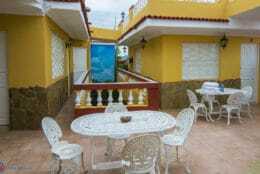 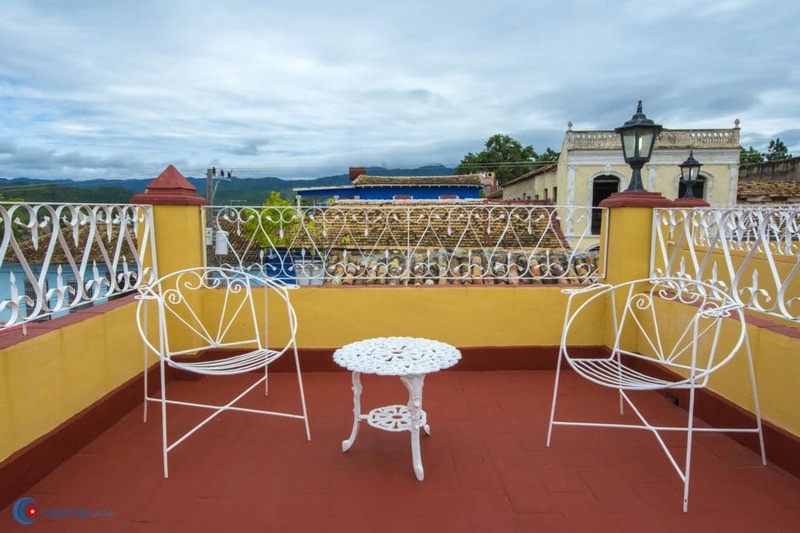 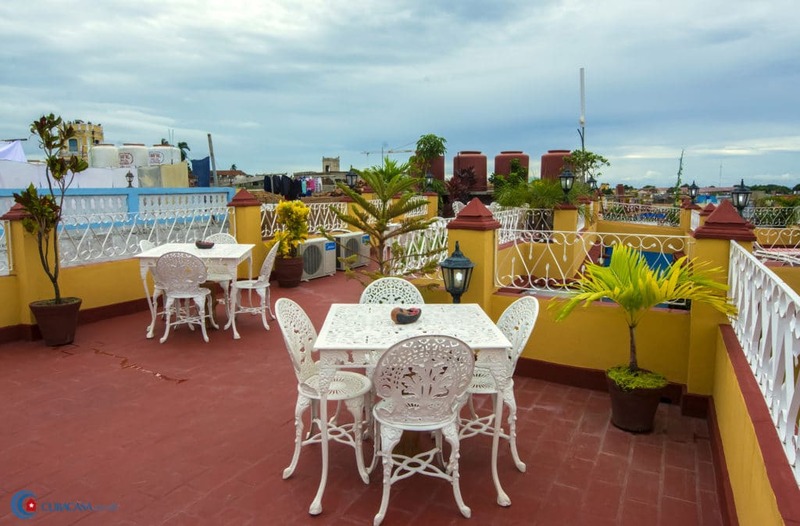 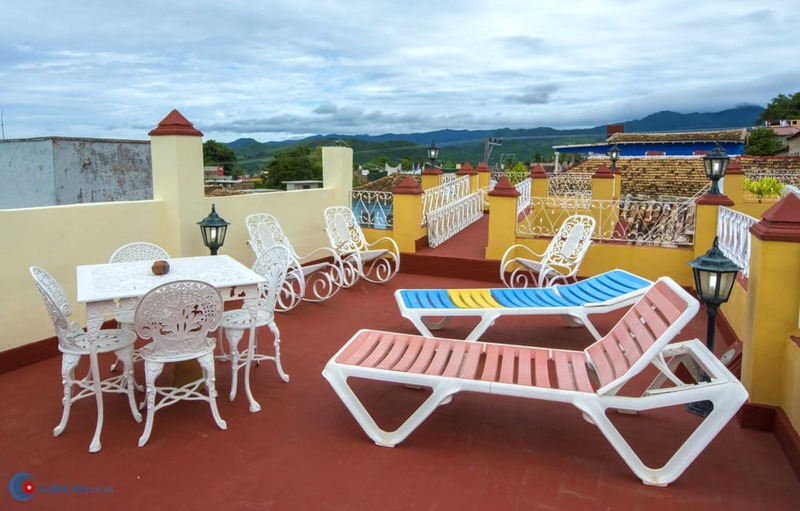 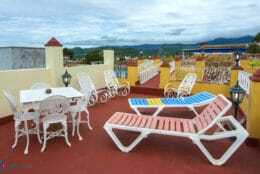 The casa has a fantastic double terrace upstairs with views of the town and Caribbean Sea. 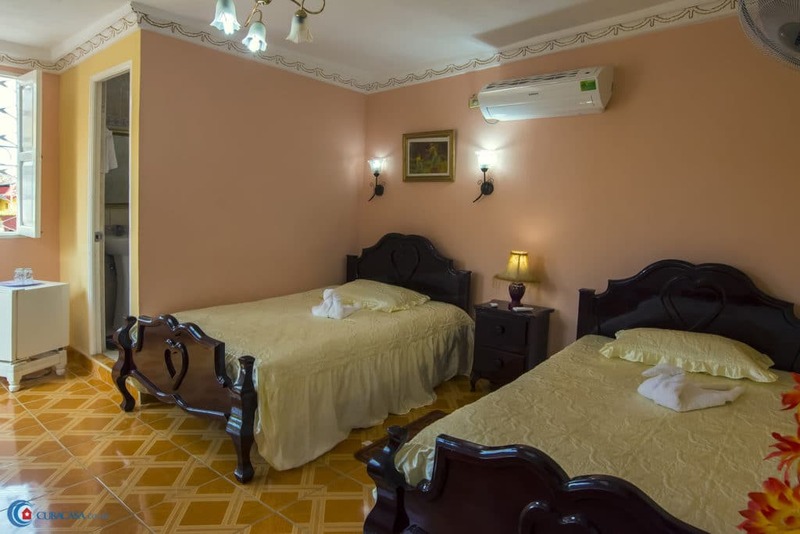 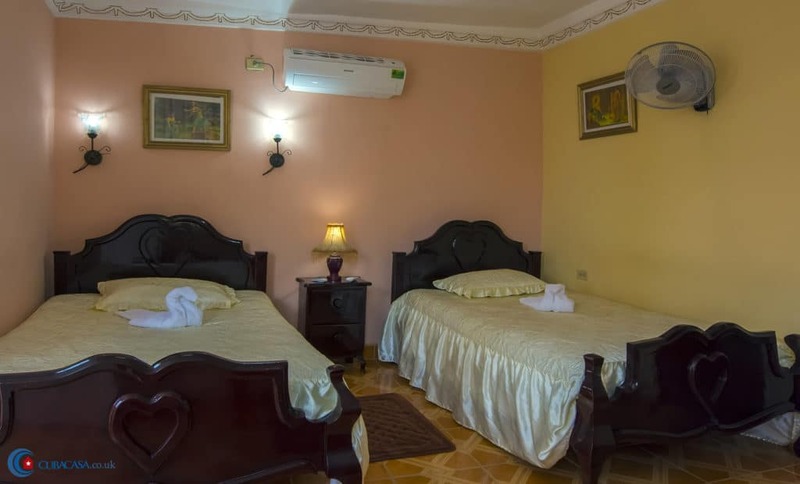 The family also runs the great restaurant downstairs called El Dorado and will be happy to help you organise local activities such as horse riding, dance classes, sports fishing and much more. 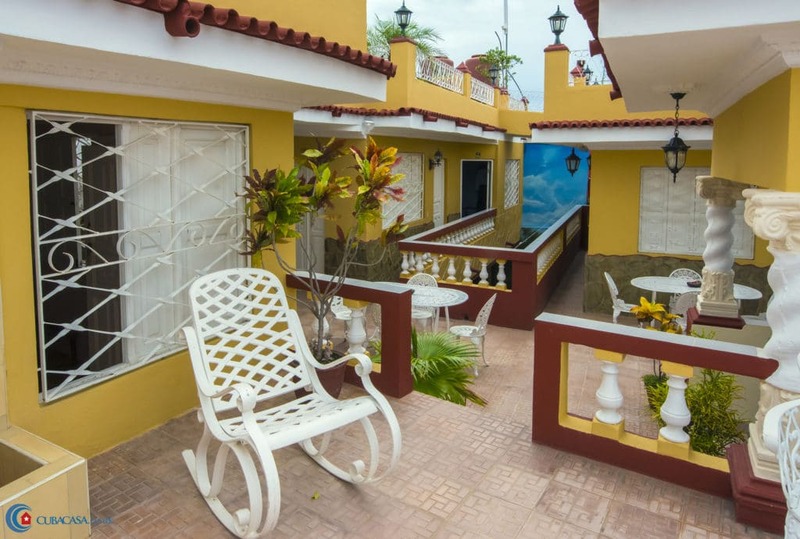 This is a very popular property so be sure to book a few months in advance to avoid disappointment! Nelson's casa particular in Trinidad is lovely and has a perfect location, just around the corner from the bus station and city centre. There is a terrace on the rooftop with a beautiful city and hills view where you can have a breakfast. 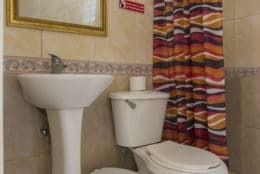 The only negative was a lack of a toilet seat, but you can find plenty of places in Cuba missing this essential thing. 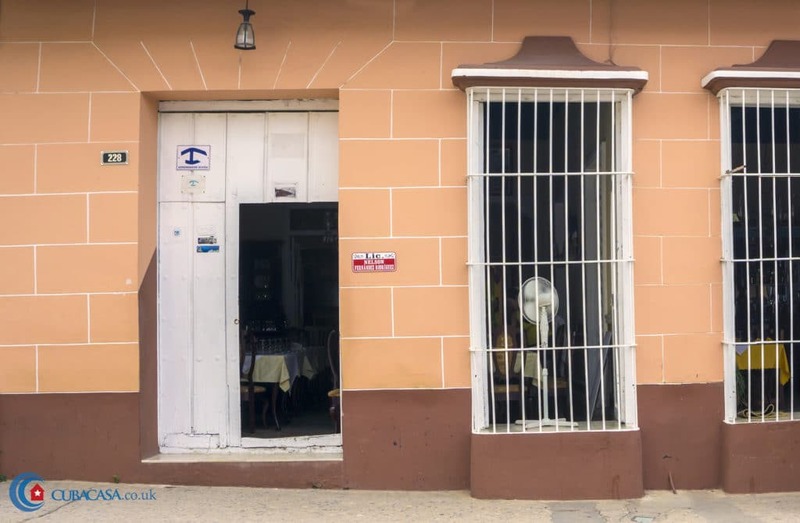 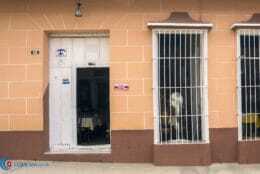 Also, breakfast was a bit weaker compared to some other casas in Cuba. 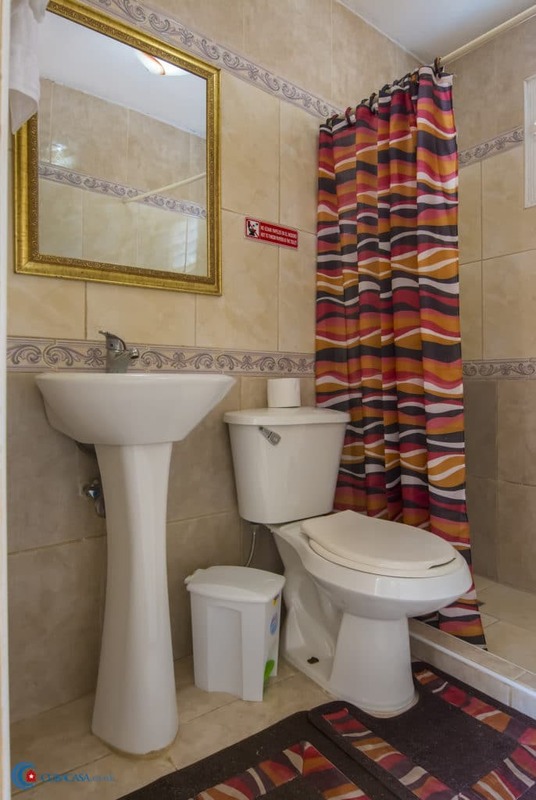 At the end, it was a lovely and tidy place. 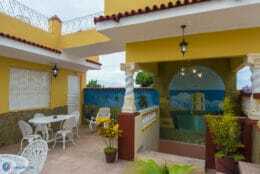 The owner of the house got us 4 older bikes (10 CUC each) and we made a wonderful trip to Playa Ancon.